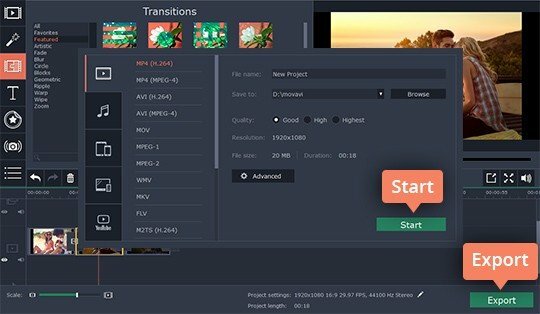 Want to quickly stitch together two or more MP4 files to make a single smooth video? You need easy-to-use stitcher software. 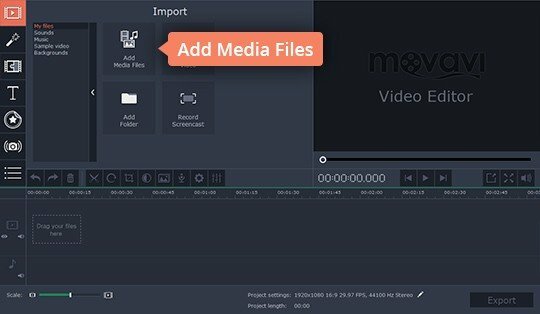 Free Video Editor can help you merge MP4 files without re-encoding and turn them into one complete movie. Download Free Video Editor for Windows 10/8/7 or Mac OS X 10.7 (or higher) and learn how to combine MP4 files from our quick guide below. Open the file you've downloaded and follow the installation instructions. 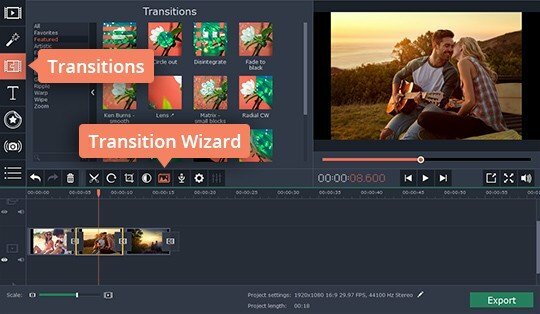 Launch Free Video Editor and click New Project. To upload the MP4 videos you want to concatenate, click Add Media Files. The files will appear on a timeline below the player. After you've added the files to the program, they are already joined together on the timeline. You can change the order in which they appear by simple dragging and dropping them into place. Another thing you can do to join the MP4 files together effectively is add smooth transitions between the clips. Open the Transitions tab, choose the transition styles you like, and drag them into position between the clips on the timeline. You can also click the Transition Wizard icon to add transitions between all of the clips at once. Click the Export button, choose the desired video format, and hit Start. Now you know how to append multiple videos into a single file with our fast video merger. Get the full version of the program and start creating your own videos!